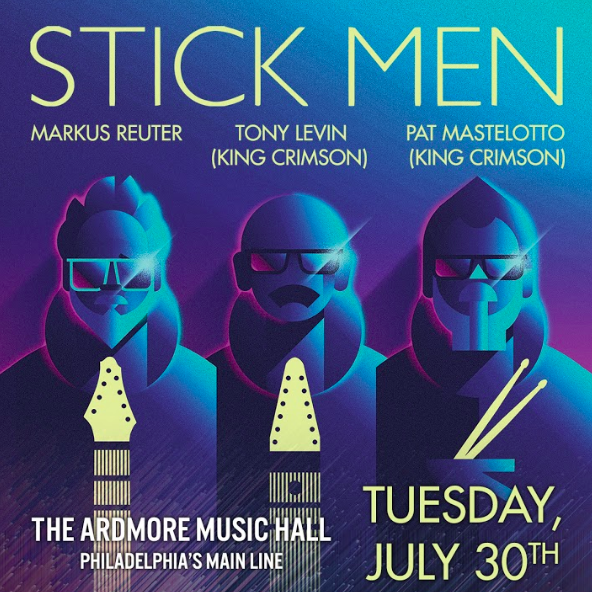 STICK MEN - Tony Levin and Pat Mastelotto, the powerhouse bass and drums of the group King Crimson for several decades, bring that tradition to all their playing. Levin plays the Chapman Stick, from which the band takes it’s name. Having bass and guitar strings, the Chapman Stick functions at times like two instruments. Markus Reuter plays his self-designed touch style guitar – again covering much more ground than a guitar or a bass. 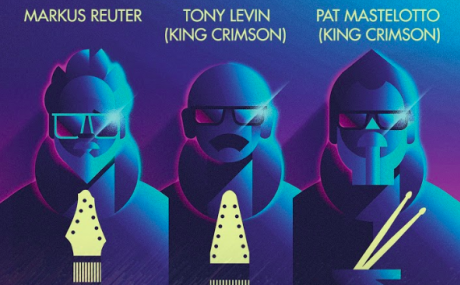 And Mastelotto’s drumming encompasses not just the acoustic kit, but a unique electronic setup too, allowing him to add loops, samples, percussion, and more.